Hello, I want to make Linden Heflin’s Baby Sophisticate, but it is unclear in the pattern exactly where the button holes go for a baby boy. Please help!!! Making size 12 months for grandson!!! I’m having the same problem with the buttonholes! I am knitting the Child Sophisticate size 6 and having an issue with repeating rows 2-5, 6 times I do not end up with 172 sts. Would you advise to keep knitting the increasing rows until I get 172 sts or is there an error? I did complete this pattern in the baby size and enjoyed the pattern therefore purchased both child and adult sizes. Please help as I am at a standstill. I can,t figure out the wrap and turn. when I turn I am heading back to the button holes. I know this is not correct. On the wrap & turn part of the collar – when you turn is that still part of the same row number or when you turn should you follow the directions for the next row number? Hi! 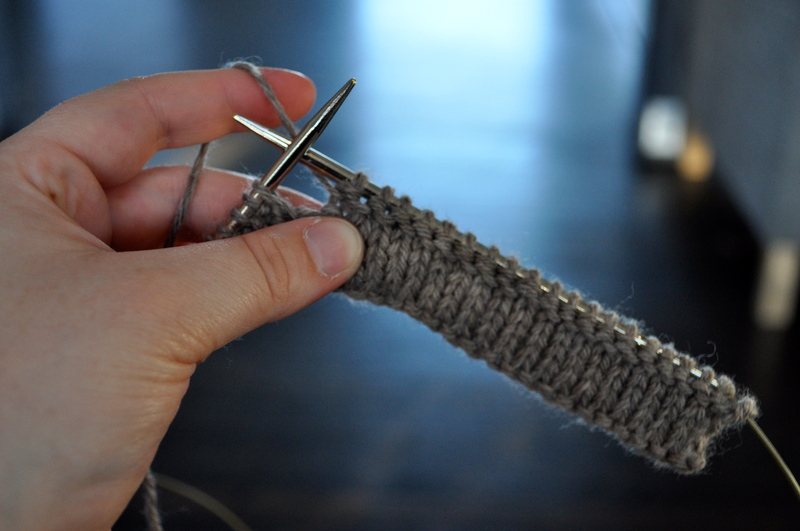 After you work the wrap & turn, you should follow the directions for the next row. Happy knitting! It is beautifull and I want to know please if it possible to have it.